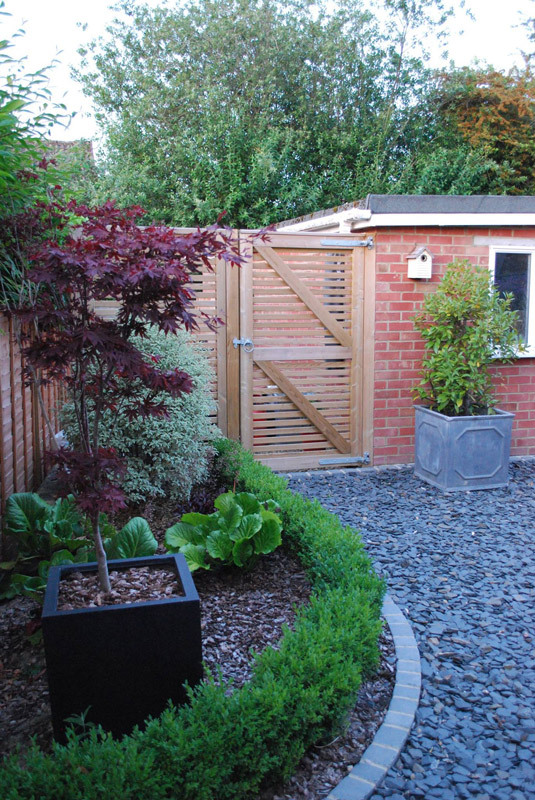 After designing and constructing this clients rear garden we were asked to transform their front garden. 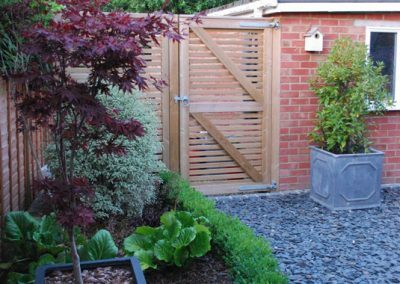 With huge changes of level we opted to use pressure treated 6” logs set into deep concrete footings to retain the varying ground levels. 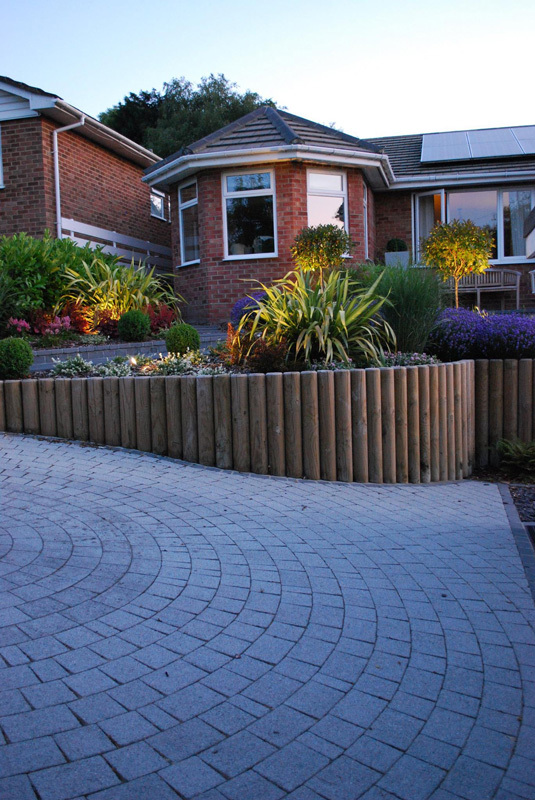 The main driveway was designed in a radiating circular block paved bond with natural Granite edging setts. 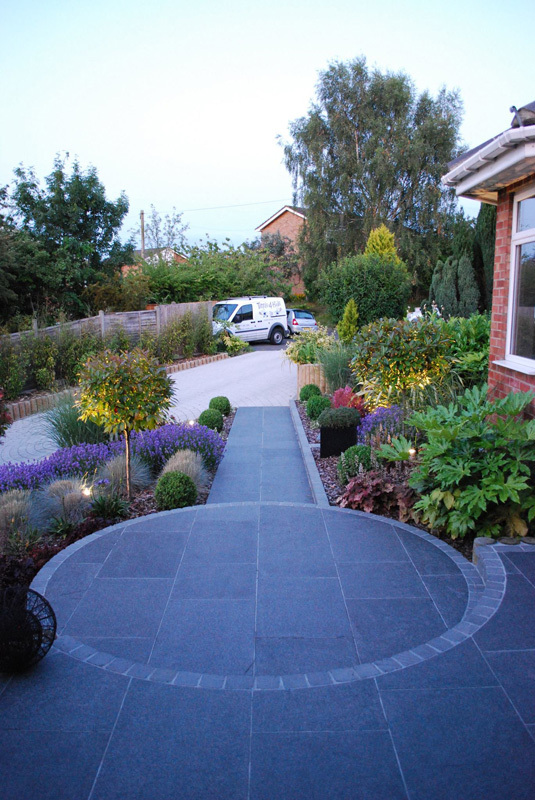 We created a simple modern Granite pathway with circular entrance feature leading to the front door area. 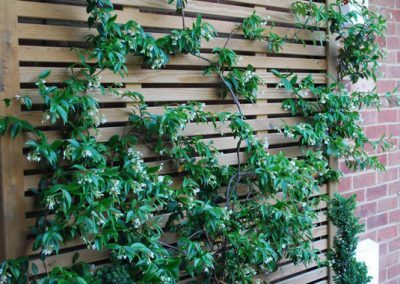 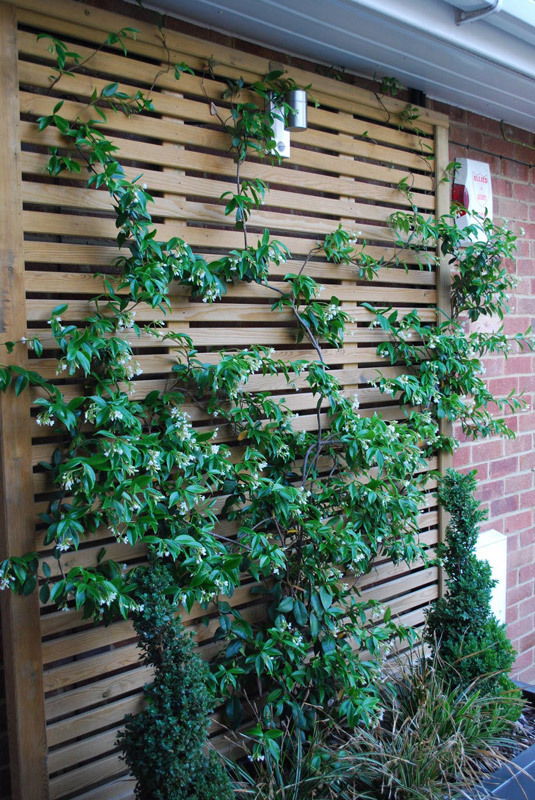 A feature trellis panel was installed above a large contemporary pot and planted with evergreen Jasmine (which was down lit). 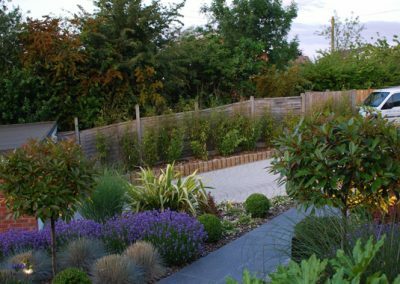 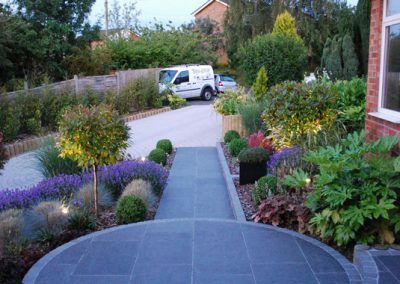 The lower area of this driveway which lead around into the rear garden was laid in loose Slate chipping with Granite sett edging, complimented with a large curved planting area. 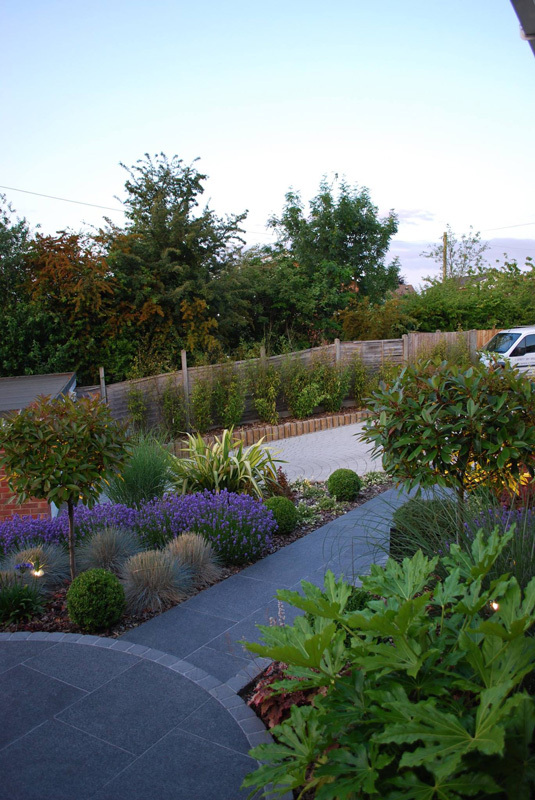 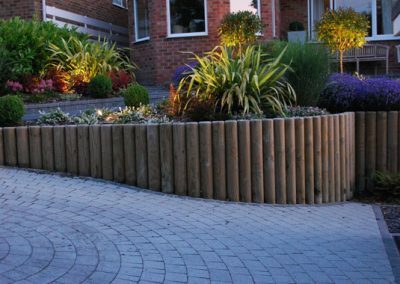 To finish the scheme off we designed and planted the entire front garden and install an automated lighting scheme.